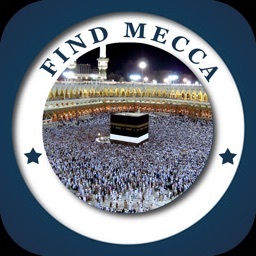 Find Mecca is a digital GPS to locate the Qibla from anywhere in the world utilizing your iPhone or iPad compass capability. 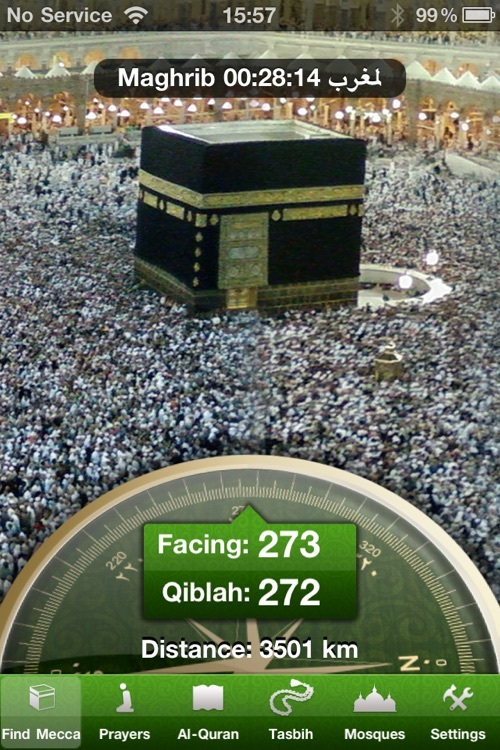 Now you can literally see Mecca with your camera in Augmented Reality Mode. No more estimations, point to Kaaba with the accuracy of a GPS. Easily move between 3 modes based on orientation of your device. 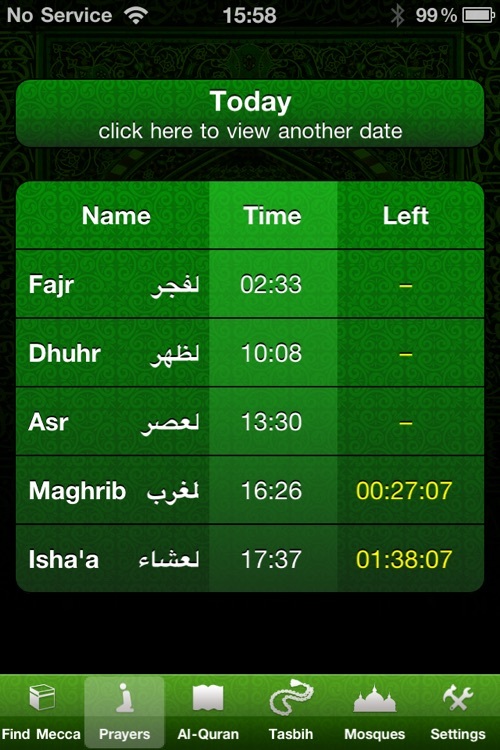 See a countdown of time to next prayer using state of the art calculation. 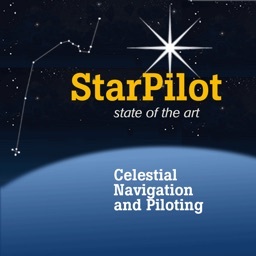 Will adjust to your time zone and GPS when traveling. 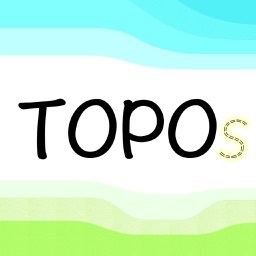 App includes the complete holy Koran and a Dhikr (prayer bead) simulator. 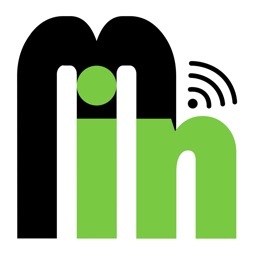 Just turn until you hear the call of the Moazin from your device. Place device parallel to ground for normal compass mode. 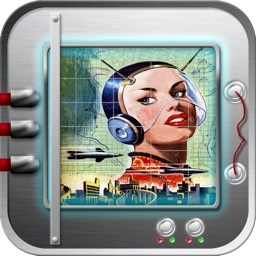 Turn it to horizontal mode to activate AUGMENTED REALITY MODE. 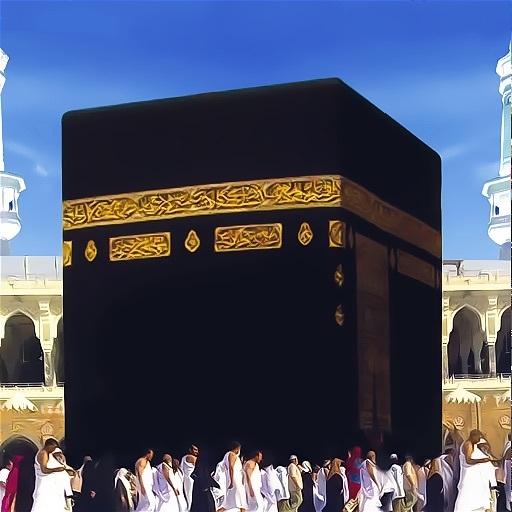 See the Kabba superimposed on your camera view. Literally showing you Mecca from across the span of the globe. 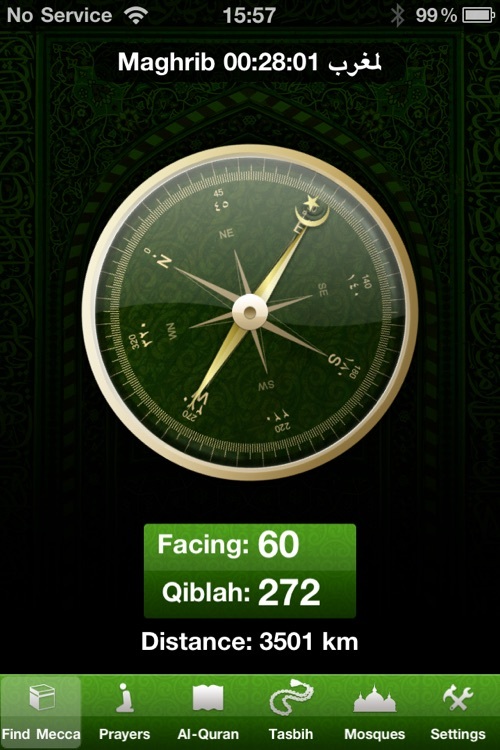 Finding the correct Quibla and facing the Kaaba in Mecca has never been this easy or accurate. Utilizing the iOS state of the art technology it is now possible to give you the EXACT bearing of Kaaba from any place on earth.